When it comes to drinking, Japan is not just about sake, beer, or premium single malt whisky that you might have seen in the movie Lost in Translation. Japan also produces wine and, although production is small in scale, the quality can be excellent. 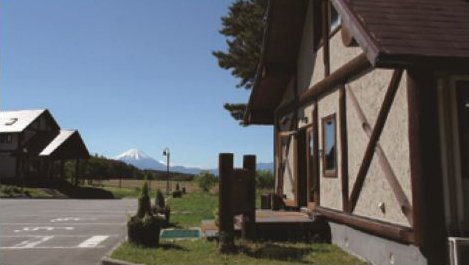 The Katsunuma region in Yamanashi prefecture is historically the most important winemaking region in Japan, and it is still the hub of Japanese wine production. This beautiful high country, located north of the magnificent Mount Fuji, can be done as a long day trip from Tokyo and would also make a pleasant overnight getaway. Of course, you don’t have to go all the way to Yamanashi to get a taste of what Japanese wine is about. Track down a bottle of wine made from the Koshu grape and you will be instantly transported to the very essence of Japanese wine. Koshu is a wine grape unique to Japan, and it is delicious. It has a beautiful pink-tinged thick skin and was originally grown as a table grape. 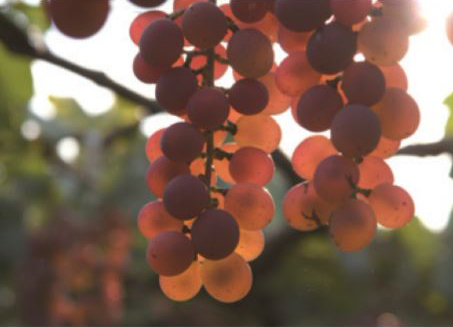 It was only more recently discovered that Koshu has the same DNA as Vitis Vinifera wine grape varieties of European origin like Chardonnay and Cabernet Sauvignon. Koshu produces pale in colour, beautifully crisp and delicate white wine. It displays clean and gentle aromas of yuzu, a tart Japanese citrus, with a slight bitterness similar to grapefruit. You will also find flavours of white peach, a soft minerality on the palate and relatively modest alcohol level. It is usually a still, dry white wine, while some producers make sweet styles and even sparkling. In its dry style it is reminiscent of Hunter Semillon or French Muscadet. Sometimes its soft texture even reminds me of premium quality sake, Junmai Daiginjo, which I personally find quite interesting. If you have never tried Koshu, I highly recommend you start with Grace Wine. Grace is a multi-award winning winery, most recently picking up Best White Asia from the recent Decanter World Wine Awards 2016. Grace Koshu has a clean and attractive blossom aroma and is refreshingly crisp on the palate with slightly bitter citrus flavours such as sudachi, lime and grapefruit, making it a wonderful accompaniment to white fish sashimi, prawn tempura or even with very good quality pickles. Just like many quality wines, Grace Koshu also has a story behind its label. It is a drop born from the strong commitment of a young passionate winemaker. Ayana Misawa, the chief winemaker of Grace Wine has taken Koshu to a whole new level. Born as the 5th generation of a winemaking family, Ayana strongly believed in Koshu’s potential as a fine wine grape from early on. After studying viticulture and winemaking in Bordeaux then in Stellenbosch in South Africa, Ayana worked extensively all over the world and brought back many international winemaking techniques which she pioneered in her home region. I highly recommend putting Japanese wine on your to do list for Japan. Chances are you will find yourself a new favourite drink to enjoy whether at home or in Japan.